When it comes to shopping for a new pair of jeans (or two) - the obvious retailer that comes to mind is Just Jeans. 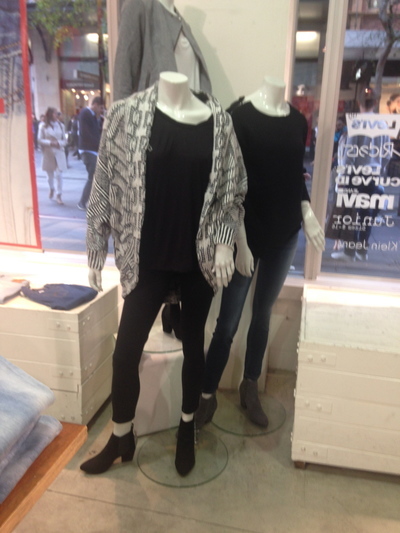 In the city, Just Jeans is conveniently located in the Sydney Arcade, on a corner just before heading to Martin Place. The two pairs of jeans for $100 (now $109) has been stuck in my jeans reticular activating system for a really long time. 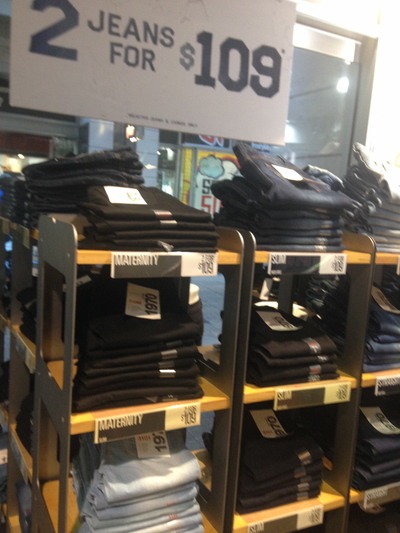 A diverse range of jeans. There are even maternity jeans available. Refreshing to know that a woman can still wear jeans while pregnant, rather than a dress. The scene has changed from dresses to jeans, due to some changes in my business. Funnily enough, my patients and clients now prefer me to wear jeans. Therefore, a perfect excuse to buy two new pairs for work, and get my current four pairs altered. Really impressed with how well laid out this Just Jeans store is. 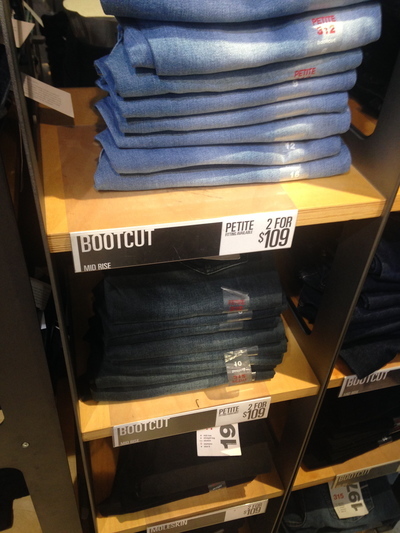 You can even buy a pair of skinny Levi's here for only $50 at the moment, as at the time of writing this. Tight jeans might be too much, considering that I prefer jeans with a little more room. On this, the skinny pairs still fit perfectly. This all boils down to personal preferences. For the skinniest of jeans, I love a pair of Guess jeans. 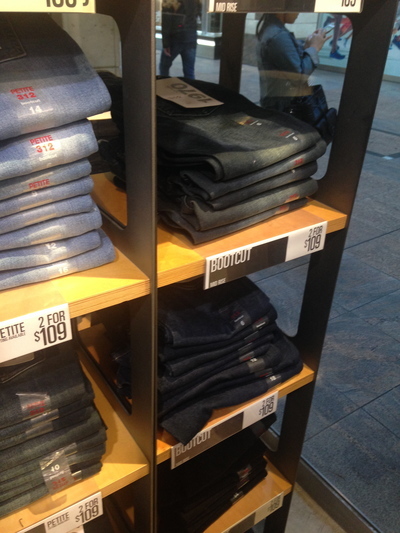 You can even buy this particular brand of jean at this Just Jeans store. In addition to jeans, this Just Jeans store is also home to some cool jumpers, shoes, scarves and hair accessories to name. Found the change room ever so simple yet spacious to try on the two pairs of mid rise boot-cuts. The lowest possible size is a 6, while the largest possible size available is a 16. I was told they will shrink a bit after a few washes. They feel comfortable, and wearing boots with them, there will be no need for any alternation services. 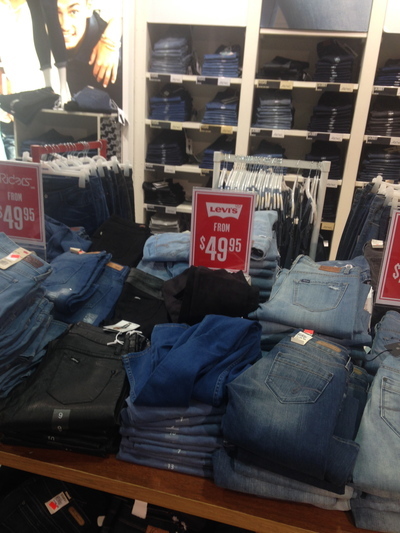 Definitely good value at $109 for two pairs of Just Jeans branded jeans. I've had my others for a while, and I know these two pairs will last me a long time. 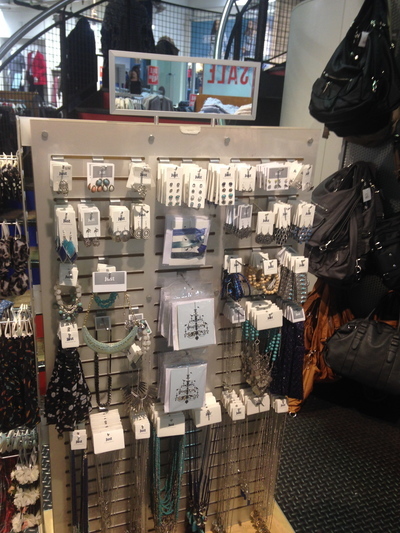 This Just Jeans store is located at a perfect locale in the city, right on the right end of Pitt Street Mall. Happy days. Why: Two pairs of jeans for $109. Cost: $109 - my recent purchase. 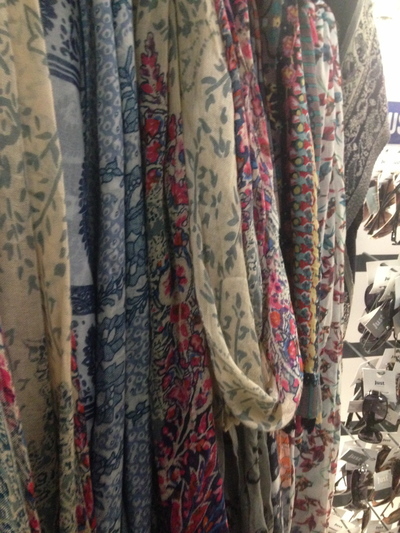 When: Enjoy shopping here on a Saturday afternoon from 2pm onwards.